Bicycle sharing systems have become commonplace across America over the last decade. Bicycle sharing programs, such as Minnesota’s Nice Ride, play an important part in our multi-modal ecosystem. We occasionally use them, but it’s a bummer to show up to a meeting tired and sweaty coming off of a bicycle. We use Uber or Lyft more often. Our “better selves” would use shared bicycles more often. Venture funding backed Bird electric scooters have exploded onto the American scene over the last six months and they finally hit Minneapolis and St. Paul. Lime scooters showed up a week later. Dockless electric scooters seem to bridge the divide for us. Using a Bird or Lime electric scooter for trips of a mile or two is faster than both Uber or a shared bike and is cheaper than Uber. Plus, you don’t get sweaty using them AND they’re fun to use! Our only complaint is that there aren’t enough of them to be able to rely on them being handy when we want one. It’s our understanding the docks for shared bicycles (and electric scooters?) are very expensive, meaning the fixed costs for a dockless system are much less than a docked system. 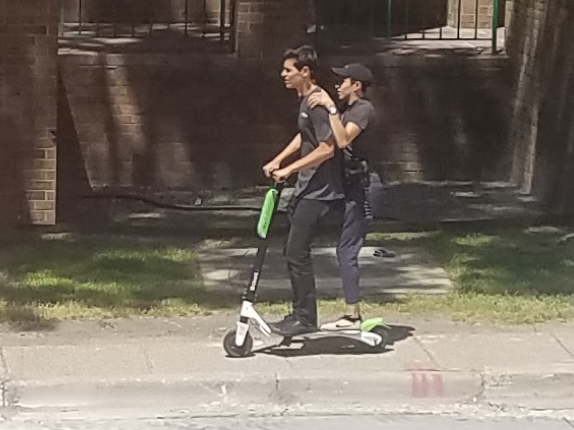 Hopefully, this means Bird and Lime will be adding a lot more scooters to Minneapolis so we can start to rely on them. But there is a dark side to dockless systems, especially scooters. Dockless scooters and bicycles can end up all over the public right-of-way when they aren’t in use. With no fixed parking areas, the issue with dockless systems is where should these bicycles and scooters be parked? Cities are struggling with how to deal with this next wave of innovation. The City of St. Paul ordered all dockless scooters out of the City under threat of confiscation a week or so after they first appeared. St. Paul is working on regulations for these systems but, until then, the scooters are banned. That’s a shame for their residents. Minneapolis was proactive and has been working to transition Nice Ride to a dockless system and recently updated their ordinances to allow such systems. The ordinances require companies to get a permit for use in the city and also allows the city to impound any bicycles illegally parked in city maintained right-of-way. Minneapolis is currently in the works to figure out the rules and regulations of electric scooters and has allowed them to remain in operation until then. We think this is the right approach vs. St. Paul’s ban. 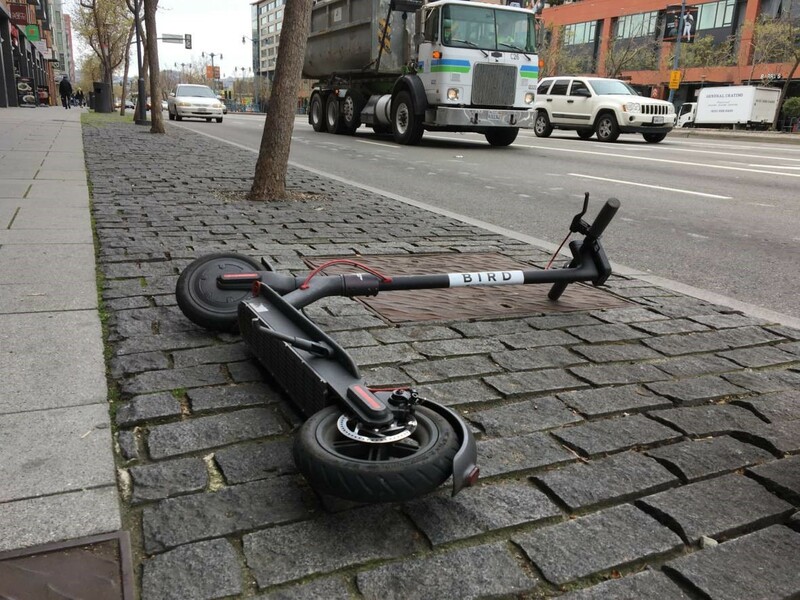 If you’re working for a city, we recommend you develop a proactive policy around dockless bicycles and electric scooters before Bird or Lime dumps a bunch of gear in your city. One of the common themes among cities allowing dockless systems is the perspective that dockless bicycles and scooters are a positive thing. The private dockless systems increase mobility for all residents and proactive cities believe they should figure out how to make them work and remove the few obstacles to them being a great success. We agree with that perspective. We also like that some of the city rules also include a minimum percentage of bicycles or scooters be located in lower-income areas of town rather than just in the high-density downtown areas. To make sure mobility isn’t decreased for anyone, especially the visually impaired, keeping sidewalks from being cluttered with bicycles and scooters is a significant concern that also needs to be addressed (and policed). Let us know if you have any good examples of places where dockless systems have worked well. We want to develop a model ordinance/policy to help cities jumpstart allowing dockless bicycles and electric scooters. p.s. Thanks to Ben Manibog at the City of St. Louis Park for sharing his knowledgebase with us! p.p.s. We think the scooters are a lot of fun and have proven to be a practical means of transportation – even if some people think they look dorky! In Kelowna, British Columbia we are approaching the 3rd month of a dockless bike share pilot program which started in mid-June 2018. Early indications show that this is the best market that “Dropbike” has entered into when compared to cities in Ontario and Quebec. Currently there are 350 bikes deployed with each one being ridden about 1.5 times per day on average. While there are sometimes issue with bikes being left on the sidewalks, there are yellow painted “havens” that are setup in convenient places for users to pick-up or drop the bikes. There is a fine for leaving a bike outside the haven and a “bounty” awarded to users who return bikes to a haven. In Canada, we’ve had our eyes on the electric scooter sharing programs in the US and will likely start to see pilot programs as soon as this fall (although these are still controversial in many areas). Thanks for all the content, Mike! Always a good read.